Hi! 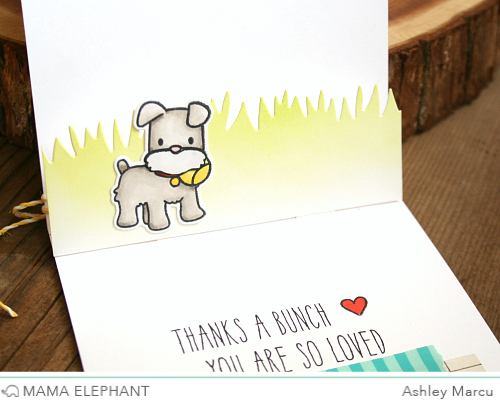 It's Ashley, sharing the new Playful Pups stamp set and Pop Up Trio dies. I've also thrown in another stamp set and die set because they are so much fun to combine! 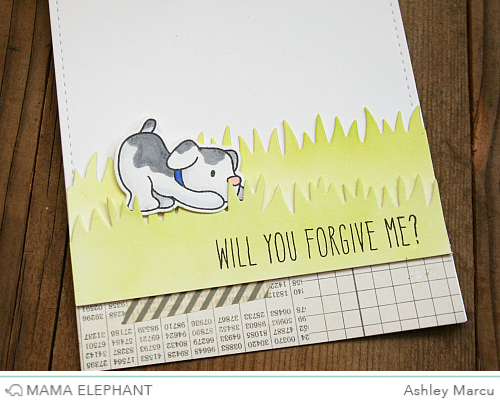 I started with a sweet little puppy from Playful Pups, used the coordinating dies and colored it with Copics. Next, I used my ink blender and Lemongrass ink to lightly color white cardstock and cut out two layers of grass with the Grassy Trio. 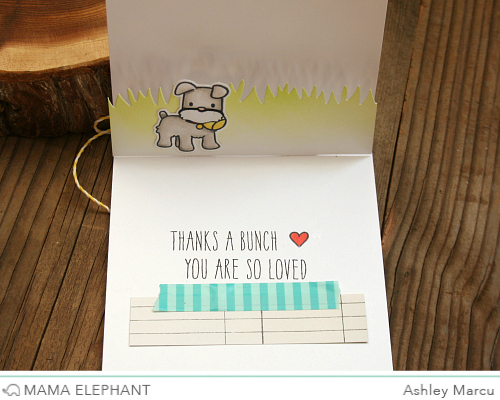 I love how the puppy can hid in the grass which ties in perfectly with the sentiment from Woodland Gifts. The inside is what makes this card extra fun. Once the card reader opens the card the puppy, also from Playful Pups, is ready to play with the ball and the sentiment, from Woodland Gifts, continues. I used the Pop Up Trio to make the scene stand out. 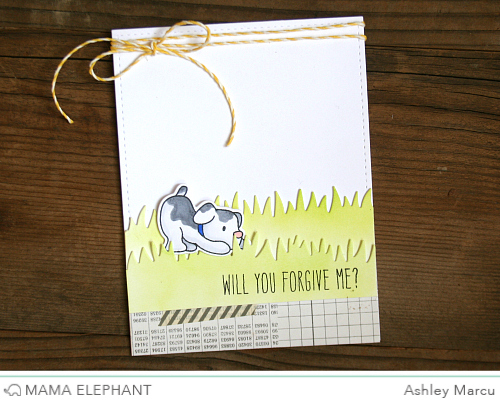 Who wouldn't forgive these sweet dogs! I love them and I know you will too! What a cute idea! I love the second pop-up pup inside!! I also love your use of washi tape which I seem to keep buying but hardly ever use!